Although chubby cheeks are definitely adorable on kids, the scenario is a little different for us adults. Too much chubbiness, especially around the jaws, is a clear indication of fat accumulation, and it is referred to as a double chin. It is not only alarming, but also downright embarrassing. While your diet definitely plays an important role in helping you lose unwanted weight, there are also a few home remedies and simple exercises that can help you get rid of a double chin. Keep scrolling to know more. A double chin is an accumulation of submental fat separated by a natural skin crease. It is a common condition that results in the formation of a layer of fat below your chin. Even though a double chin is associated with weight gain, you don’t necessarily have to be overweight to develop it. Given below are some of the most common factors known to cause a double chin. Age: Advancing age can cause sagging of the skin, which might result in a double chin. Genetics: Those with a family history of double chin or skin with less elasticity may develop it. Weight Gain: Accumulation of fat can cause the skin to stretch and lose its elasticity. Aging: With aging, collagen deposits weaken, causing fat to herniate in the neck area and can lead to loose skin and result in a double chin. A double chin can become more evident with time and may even be unsightly to look at. And because it also affects your confidence, you will want to get rid of it as soon as you can. Here, we have come up with some of the best home remedies and exercises that can help in getting rid of the excess fat under your chin. Take a little wheat germ oil and apply it to your jaw in an upward direction. Massage for 5 to 10 minutes and leave it on overnight. 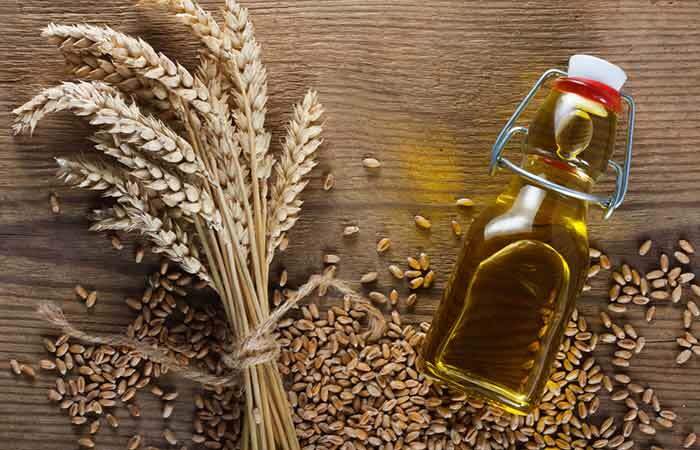 Wheat germ oil contains vitamin E and can help nourish and tighten the skin around your jaws, thus reducing the double chin over time (1). 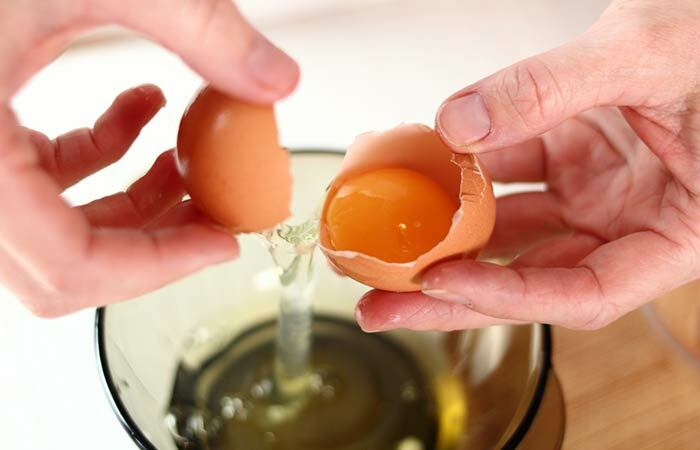 Take an egg and separate the egg white from the yolk. Whisk the egg white with a tablespoon each of milk, honey, and lemon juice. Apply this mixture all over your jaw and near the neck. Leave it on for 30 minutes before washing it off with water. Egg whites have excellent skin tightening and pore-reducing properties that can help reduce double chin. 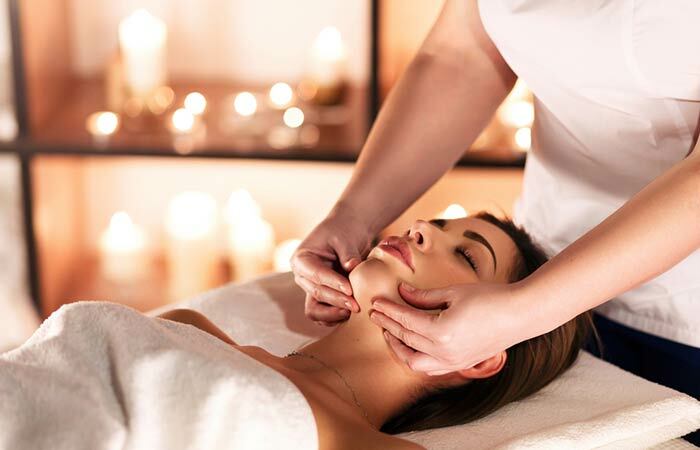 A massage can also do wonders for your double chin. You can either massage the skin below your chin directly or use an oil for it. Massaging improves the blood circulation to your jaws and helps you get rid of all the excess fat deposits (2). Add a teaspoon of green tea to a cup of hot water. Add some honey to the green tea and consume immediately. Drink green tea at least thrice daily for best results. 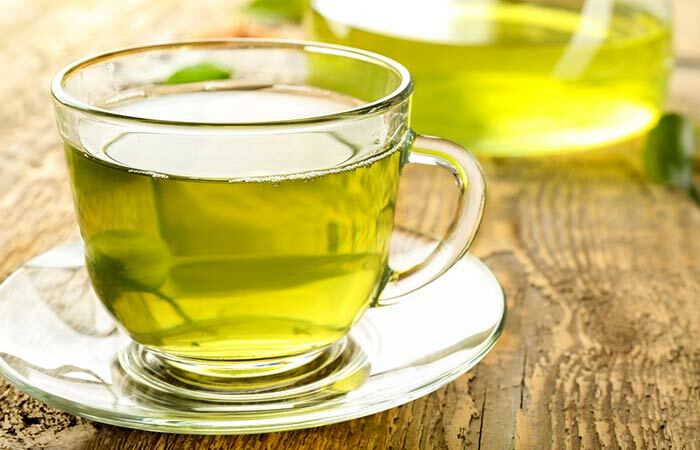 Green tea is packed with catechins that have antioxidant properties and promote weight loss. Weight loss will naturally reduce your double chin as well (3). Take some olive oil and heat it slightly. Massage it gently into your jaw and neck. Leave it on overnight or for an hour or two before rinsing it off. 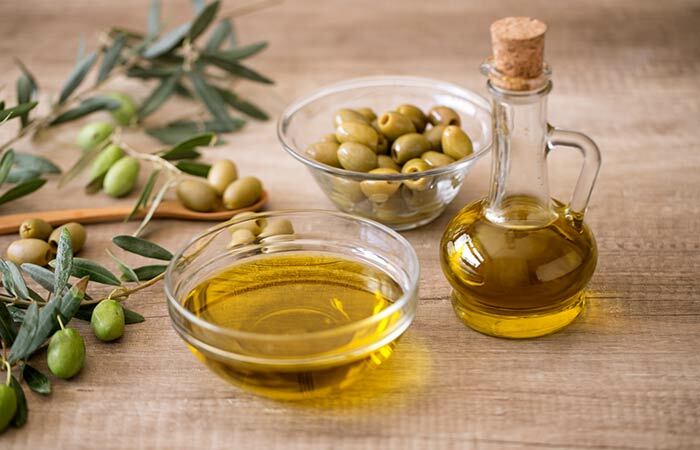 Olive oil is packed with antioxidants and vitamin E (alpha-tocopherol), both of which nourish your skin, protect it from damage, and also firm it (4), (5). A combination of these activities is good for getting rid of a double chin. Adding olive oil to your diet can also help you lose a few extra pounds (6). Take a tablespoon of coconut or sesame oil and swish it in your mouth. Do this for 10 to 12 minutes, after which you can spit it out. You must do this once daily, preferably every morning before brushing. Oil pulling is great for your oral health as well as the detoxification of your body. This remedy also helps you lose weight. The constant swishing can get the muscles in your jaw working, thereby helping reduce your double chin (7). Take two to three vitamin E capsules and extract the oil. Apply it to your jaw and upper neck. Massage for a few minutes and leave it on overnight. 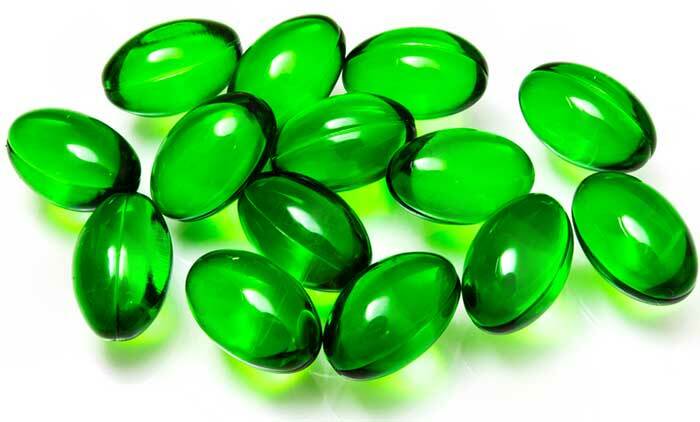 As we have already mentioned, vitamin E has many benefits for your skin and health due to its high antioxidant potential. It protects your skin from damage and also keeps it moisturized and tight. Regular use of vitamin E oil can reduce the appearance of a double chin (8). 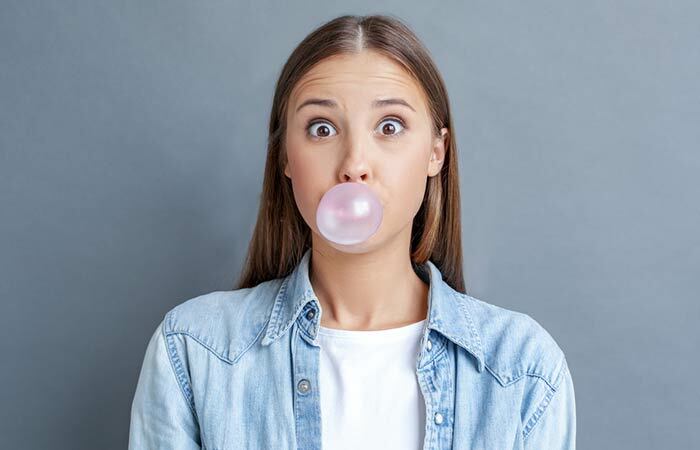 Another easy remedy to combat a double chin is simply chewing on some gum. The very act of chewing is like an exercise that helps to burn all the excess fat on your face and chin (9). Blend half a cup of cut melons with water. Apply it all over your neck and jaw using a cotton pad. Leave it on for about 30 minutes and then rinse it off. 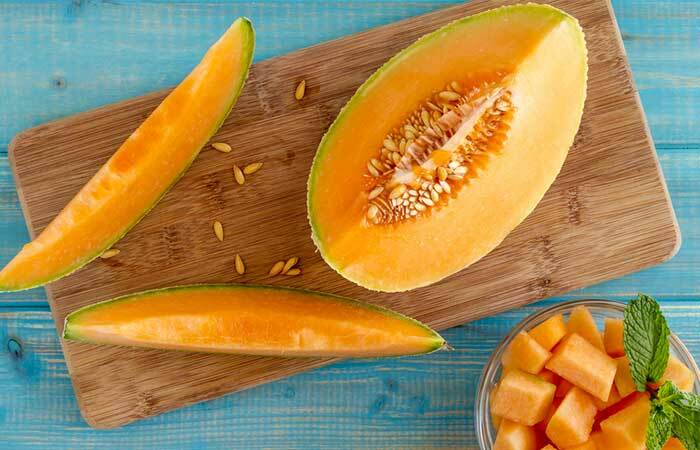 Melons have a high antioxidant potential that keeps your skin protected and hydrated and prevent it from sagging (10). Take one to two tablespoons of cocoa butter in a bowl and heat it slightly. Massage the warm butter gently into your upper neck and jaw for a few minutes. Leave it on overnight or wash it off after 30 to 60 minutes. 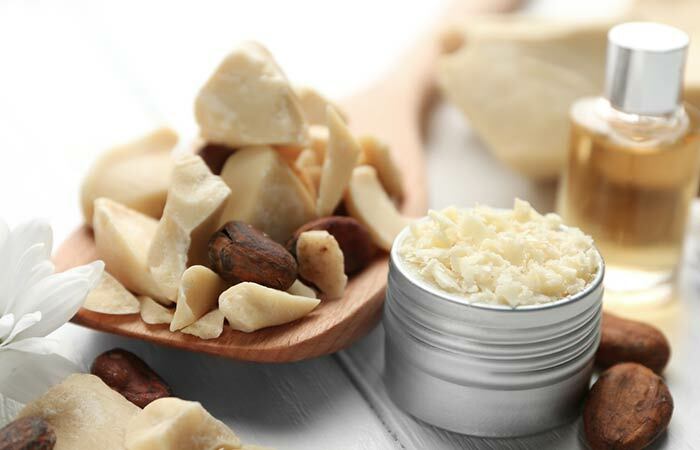 Cocoa butter possesses highly moisturizing properties owing to the presence of vitamin E. It keeps your skin well hydrated, thereby increasing its elasticity and reducing the appearance of a double chin (11). The following are some of the best exercises that are widely used for reducing a double chin. This exercise involves pressing your tongue to the roof of your mouth and tilting your head back and forth to get rid of the excess fat in your jaws. This exercise is relatively easy. All you need to do is spell X-O repeatedly to get the muscles of your jaws, cheeks, and neck moving, which burns fat. As the name suggests, tilt your head backwards and form an ’O’ with your mouth as if you are kissing the ceiling. This will get the muscles in your chin working and burning neck fat. Sit upright and stretch your neck as far as you can on either side. This helps reduce the fat accumulation on the sides of your chin. Yes, sticking your tongue out as far as it goes and swishing it from side to side can also help you get rid of a double chin. Neck rotations require you to stretch your neck from side to side to help move all the muscles around your chin and jaw. Jaw jut involves tilting your head to the back and pushing your jaw and tongue outward to get rid of any fat build-up. Hold either side of your lower jaw (right below the ears) with your thumbs and index fingers and tilt your head forward. This puts a strain on the muscles of your chin, thus helping you get rid of the double chin. 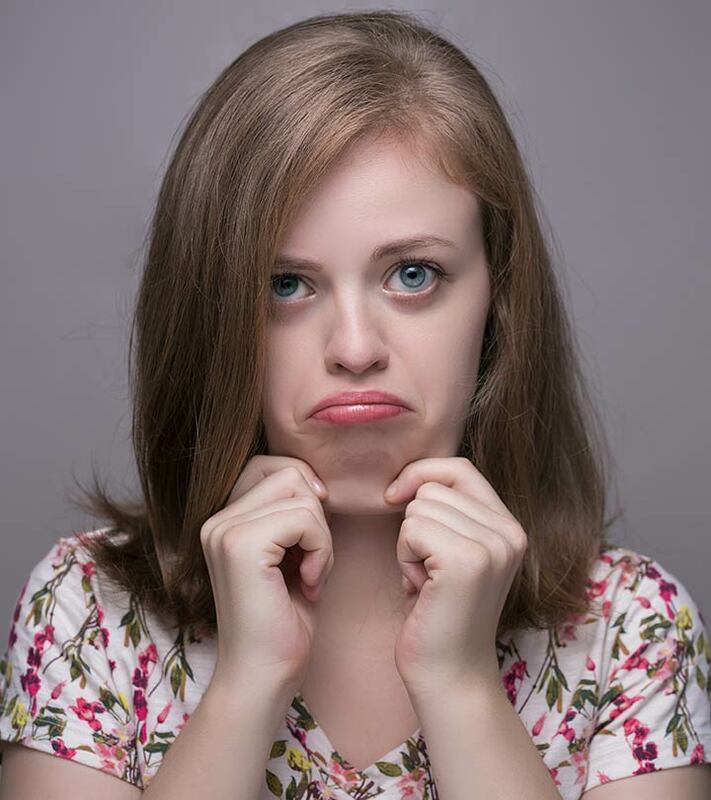 Let us now look at a few additional tips that can help prevent the recurrence of a double chin. Consume more fat-burning food like oats, nuts, and eggs. Keep a check on your weight. Follow a healthy diet that consists of citrus fruits and leafy vegetables. If done regularly, the above exercises, remedies, and tips can help you get rid of a double chin quite easily. A little effort from your side is all that is needed to lose that excess fat and look well-maintained again. Do you know any other ways to get rid of a double chin? Share them with us in the comment section below. 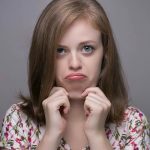 How long does it take to get rid of a double chin? If you follow the given remedies and exercises religiously, you will start seeing a change in your condition within a few weeks. 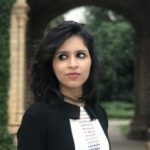 What is the best cream for a double chin? There is a wide range of neck firming, tightening, and lifting creams in the market to help you get rid of a double chin. However, if you are looking for natural alternatives, any of the above remedies will work. 8 Unusual Tips To Get Rid Of Spectacle Marks Forever!